Welcome to Time Out Singapore's 52 Weeks of #ExcitingSG – our commitment to showing you the best of what's going on in the city this week. Every Monday, a guest writer who's "in" with the scene shares a recommendation on what to see, eat, do or buy in the city. 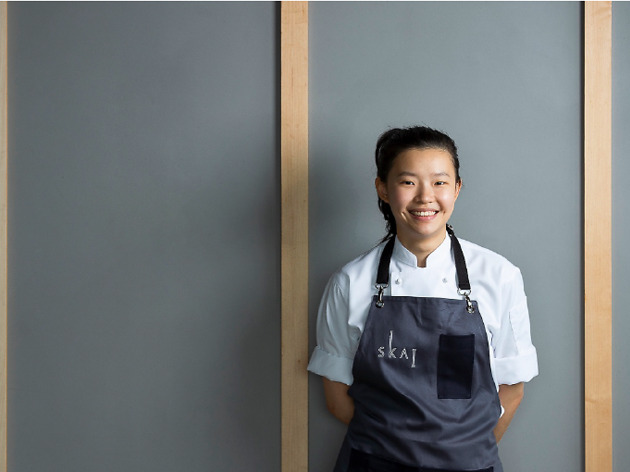 This week, we chat with Chong Koo Jee, the young and talented pastry chef at SKAI, a beautiful restaurant and bar at the top of Swissotel The Stanford. In a nutshell, I would say the availability of materials and ingredients that I’m looking for. The ease at which I can get produce never fails to amaze me. It can be something as simple as sugar that’s procured from different parts of the world to niche ingredients such as purple corns and edible tree bark. With the use of exotic and rare ingredients, I always make a mental note to be aware of the social significance and the cultural background. How do you feel about Singapore’s dining scene? The dining scene here is definitely maturing and blooming. This pertains to the overall dining experience, culinary exposure and food awareness. 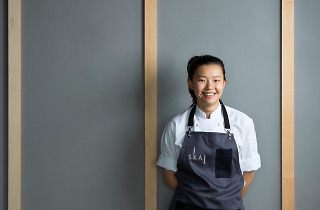 I would say that the F&B landscape has a unique Singapore essence, this is not only relevant to our hawker culture, it also includes the blend of pragmatism when it comes to improving the guest experience and the increasing knowledge of the “what” and “why” of our meals. Do you think the pastry industry is receiving the recognition that it deserves in Singapore? Sadly, no – while the increasing support has been great, I feel that it still does not shake some age-old beliefs. While pastries are sweets and desserts and are typically the last course of the meal, its role is not entirely to finish a meal. The pastries at SKAI have been created to complete the sensory experience for our guests, we do that by reconstructing the dish to ensure that the overall look and flavours are perfect. The end product, to me, definitely serves a more significant purpose than being there to finish off a meal. What are your go-to spots for desserts in Singapore? I love exploring when it comes to my sweets and desserts, off the top of my head some of my favourite places are Non-Entree Desserts and Milk and Honey. Where do you get your inspiration for creating beautiful and innovative desserts? I get my inspiration from all around me! It can be from something as simple as a brush stroke to the polka dots of Yayoi Kusama. A well-designed building in Milan to the flora and fauna of Nature. I am easily moved by colours, it often paints a thousand images in my mind. Of course, let’s not forget the ease provided by social platforms, which allows me to collaborate and connect with my fellow pastry folks worldwide. What's a day in the life of a pastry chef like? At SKAI, we usually work on the creative side of the dishes after our usual work routine. The daily grind makes up most of the work, the 95 percent where we prepare for the day ahead and execute the dishes to ensure that the quality is always consistent. To me, this helps to not only mould our character, it also helps to hone our skills, which I am always seeking to improve. Only after the daily tasks have been completed to perfection do we earn the joy of the 5 percent where we are a chemist, artist, designer and architect all at once.